Dr. Eric Melwani is a Golden Rule World Peace Ambassador and a Statesman with IChange Nations™. He travels around the world with the message of the value of life and the Golden Rule. He also pastors the Church of Many Waters in Orlando, Florida with his wife Dr. Janet Melwani. This article is written by Dr. Eric Melwani. One of the greatest gifts given to mankind is the gift of life. I consider it a privilege to wake up every morning with thanksgiving in my mouth and to be able to celebrate life daily. I am appreciative of all the benefits of life and the value of it. I am grateful for the wonderful people in my life including my family and to be able to celebrate each other. Life is very valuable and precious because it has been made in the image of our Creator. Every life has been beautifully created and carries purpose in it. Every life is amazingly unique and cannot be duplicated nor replicated because it carries its own distinct identity. Just as every fingerprint is unique and no one in the world has the same fingerprints. In the same way every life is valuable and unique because no one can be like the other. Every life carries gifts and talents for the purpose of making a positive difference and the world a better place to live. Thus, life must be protected and celebrated. We must honor every person because every life is precious, valuable and has something to contribute to humanity. We must celebrate other cultures, ethnicities and races of people because there is power and beauty in diversity. 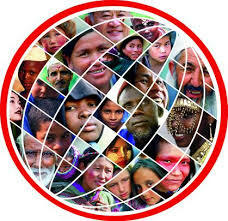 Every culture adds flavor to humanity as a whole and contributes to the value of life. Thus, we must celebrate the value of life and it’s expressions through diversities we encounter. I was born in Kolkata, India and saw extreme poverty in the streets of Kolkata. It broke my heart seeing these precious children homeless and digging through garbage looking for morsels of food. It would hurt and bother me seeing the misery of these people as the monsoon rains would come down and flood many streets in Kolkata. Those living in the slum areas were greatly affected by the rain and poverty. 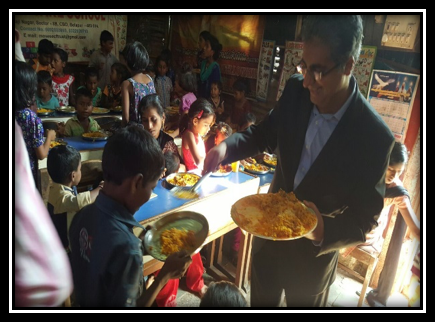 I remember feeding the poor and doing humanitarian works even as a child touched deeply by the conditions of the poverty I saw in Kolkata. Every life is valuable including those who are poor, destitute and homeless. Our situation and condition in life does not diminish the precious value of who we are. Our economic status does not determine our value. What we have does not determine who we are. We are priceless, precious, valuable and unique. Each one of us including the homeless, poor and forgotten matter to our Creator and every life is special and irreplaceable. Every person deserves to be honored and respected. We must create the culture of honor everywhere we go. Whether it be in the slums of Kolkata, India or in the tribal areas where many have never ventured to go. All people are a gift who must be celebrated and honored. Today, I want to encourage everyone to value life and cherish it by maximizing it through living a lifestyle of honor. Let us celebrate others by embracing others and their individuality. Let us celebrate others by helping others to reach their fullest potential. We are not in a competition with each other but rather every individual has their own assignment and we must help them to complete their assignments. We must work together for the common good of humanity and remember there is power in unity. Let us celebrate life today because all life is valuable.